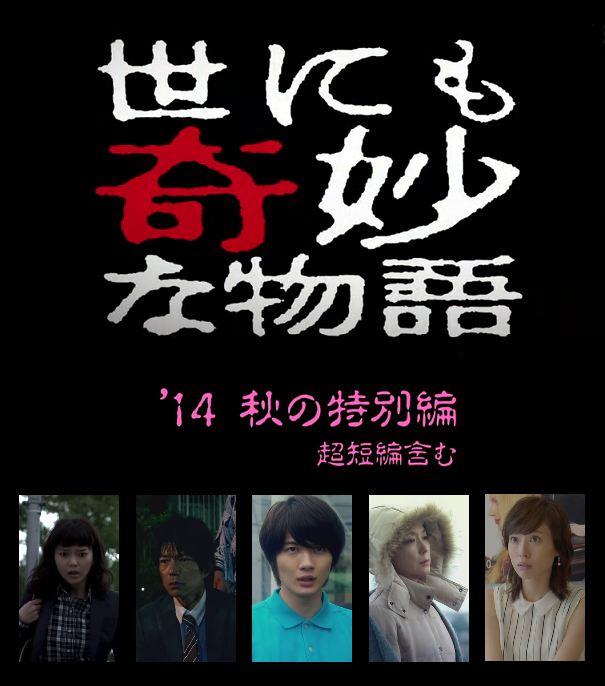 Yonimo Kimyouna Monogatari FALL Edition 2014 (Fuji TV, 18 Oct. 2014) once again features five bizarre tales. This year's Spring Edition stars (in order of appearance) Tabe Mikako, Nakamura Toru, Yoshida Kotaro, Kamiki Ryunosuke, Wakamura Mayumi, and Toda Erika. It is narrated by Tamori as "The Story-Teller". In this Fall Edition, mini-short bizarre tales are also featured. Synopsis for each story and other links are found under the cut. Yonimo Kimyouna Monogatari Spring Edition 2014 (Fuji TV, 05 April 2014) once again features five bizarre tales. This year's Spring Edition stars (in order of appearance) Tamamori Yuta, Watanabe Eri, Nounen Rena, Eikura Nana, and Fujiki Naohito. It is narrated by Tamori as "The Story-Teller". Synopsis for each story and other links are found under the cut. 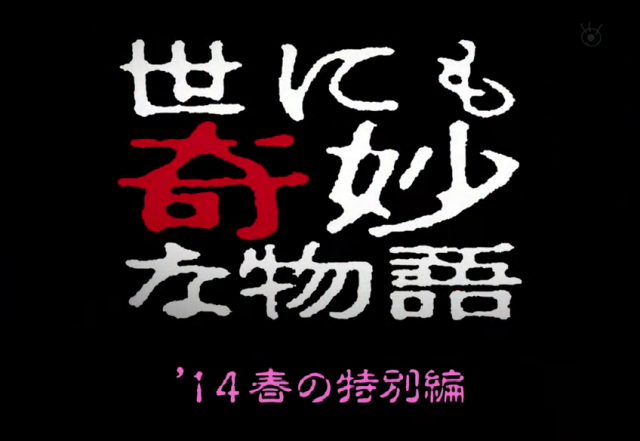 Yonimo Kimyona Monogatari (Bizarre Tales) 2010 Fall on its 20th year aired on October 4, 2010. It stars Tamori as the narrator simply known as "The Story-teller." Subs for both the whole 2 hour show as well as Ohno Satoshi's cut story (Hajime no Ippo) can be found here.